An enormous amount of time and work has been devoted to the creation of the service for children aged 5 to 6, that should offer the children of Swaziland (now eSwatini) tha opportunity of one year of pre-primary education, mandatory and free of charge. The work have been tutored by IBE-UNESCO. The National Curriculum Center of Swaziland working on the syllabus The main lines of the syllabus are based on the national curriculum framework and are planned to guide the teachers in their future work with children. An attentive work has been done in order to outline all the components of the early education service. Guideliens are provided to the learning environment, and a very focused work has been done on the teaching-learning approach which is expected to be child-centered, starting by the ideas and curiosities of children instead of having a pre-defined program, following the most updated researches in the field of neuocognition, and based on the most advanced pedagogical experiecnes in the world, like the Reggio Emilia Approach. Attention has been payed also to parents. Parents are the most important people in children’s early life. Cooperation between parents and the preschool staff paves the way to the educational process that will foster the children’s development and help crystallize their potential. Therefore, the Guidelines are defining all the possibilities to participation of parents to the early development of children. This is a very important step in Swazi education system, and will be followed by further development, in line with the UNESCO Moscow Framework for Early Childhood Care and Education. This post is inspired to a chapter of a book about gender parity I am writing for Edizioni Libre. This post is inspired by a chapter of a book about gender parity I am writing for Edizioni Libre. Habits themselves are not a problem or an issue. They become a problem when they are based on biases, or when they generate behaviour that is not ethically positive when they are unhealthy, dangerous or time-consuming. Education sector and Early Childhood sector mostly is a milieu where habits house easily. The reasons are many. It is a relational work, the quality education of the practitioners is not yet a global an issue, the requests and the needs raised by the children are ever changing and growing in complexity. Discussing with preschool teachers or EC practitioners, you have the opportunity to listen to phrases like “we have always done like this” paired with narratives of frustration and anxiety like “children have changed” and “parents are no longer the same”. Another way to make this storytelling is that the habits of the staff are so difficult to change and are no longer effective in the making of the education process. Habits of the preschool teachers and staff affect the education process. About the gender issues, for instance, there are plenty of evidence that the behaviour toward boys and girls are often different. And as well as educators should have long understood that children must see themselves and their families reflected positively in the toys, instructional materials, literature, and language of the classroom, there are still a huge number of gender biases in education, mostly (but not only) in southern European Countries. We still engage in some practices that threaten self-esteem and challenges societal barriers. Habits affect different areas of behaviour like the way you name children, the expectation regarding make-believe playing, kind of playing activities, way to intervene in morning assembly, issues regarding lunchtime and setting of preschools environment. But bad habits are not only affecting gender issues. The strategies of preschool teachers suffer from habits in different level and areas of activities. But the first and foremost bad habit in education is teaching. We all have grown up in schools where the teachers used to teach. It is a never-ending paradigma: adults have knowledge and have to transmit it to children. And after that, assess and evaluate if this transmission process has gone right, or if there have been some problem. It is a very deterministic and unrespectful way of acting toward children, but this is exactly what is doing the 99% of preschool teachers to the children. We have plenty of evidence that education doesn’t work by transmission, but still, we fall into this enormous bias. This enormous habit. Indeed, as Carla Rinaldi remarks very well in the following piece, a) Learning does not proceed in a linear way, determined and deterministic, by progressive and predictable stages, but rather is constructed through contemporaneous advances, standstills and “retreats” that take many directions. b) The construction of knowledge is a group process; Each individual is nurtured by the hypotheses and theories of others, and by conflicts with others and advances by co-constructing pieces of knowledge with others through a process of confirmation and disagreement. Above all, conflict and disturbance force us to constantly revise our interpretative models and theories on reality, and this is true for both children and adults; c) Children produce their theories, important theories by which they are inspired. They have their own values and meanings, as well as their own timing which both has and provides meaning, and which directs the course of their learning processes. This timing must be understood, respected and supported. Breaking this habit is probably the most difficult challenge of education. Because it is a habit that defines a profession (teacher) and the action (teaching). Still, it is not only from the Reggio Emilia experience that is raised the need for a change. Authors and scholars like Howard Gardner, Jerome Bruner, and before of them, John Dewey, just to name a few of them, stated that the journey to a new image of education is needed, urgent and critical. But this habit-breaking challenge means having the courage to take decisions even if they go against the flow, if they are hard to take, if they are energy-consuming, when there is a risk of making mistakes, being exposed to potential error because the situation is not clear. It means ‘avoiding opportunist and obsequious attitudes towards authority’ (Loris Malaguzzi), discussing, criticize and questioning points of view constantly with others, trying to evolve situations that appear stagnant and irresolvable. The “teaching” issue involves the question of power. And questions of power use to underpin gender issues. The concepts of ‘leader’ and ‘leadership’ — and their corollary of ‘follower’ and ‘being led’ — do not sit comfortably in an educational project that, as discussed below, takes democracy and cooperation as fundamental values, and makes them central to its practice? Of course, a leader may try to use the trappings of democracy to secure compliance, making a point of consulting widely and building teams to further her purposes and goals. But here democratic language and methods are instrumentalised and put to work in the interests of power. What is the situation though if you start from a position of democracy and cooperation as fundamentals […]?Where schools themselves have no hierarchy or fixed leadership. Knowledge construction is at the basis of the society and it is a paramount pillar of western nations. The hope for a change goes through a deconstruction of the old habits and the recognition that the focus is on the collectivity, as individual knowledge is only partial; and that in order to create a project, especially an educational project, everyone’s point of view is relevant in dialogue with others. The impact of James Heckman on Early Childhood policies has been terrific, and probably more have to come. His research has had an impact on the work of policymakers, providing important new insights into areas such as education, jobtraining, the importance of accounting for general equilibrium in the analysis of labor markets, anti-discrimination law, and civil rights. Most of these areas has seen a strong development from Heckman’s researches, but my interest is focused in Early Childhood Care and Education. Heckman has provided policymakers, and education seniors a concrete tool to open discussion with politicians over the investment in education, mostly in early education. In concrete, the ROI (Return of Investmen) in Early Childhood is high, much higher then other politics, and recent researches shows that an investment bring back 13 % of the investment for comprehensive, high-quality, birth-to-five early education. The return in preschools from 3 or 4 to primary, though quite high (7–10%) is not the same as an investment based on a birth-to-five life spam. The reasons are very different. Basically, children that attended birth-to-five education has less health problems (because of correct life styles), less social issues (and consequent less expenditure in social services), less problem with justice and more entrepreneurial skills, turning our in good economy and financial situations, increase of mother’s income, less school drop-out and in general better school careers. Early Childhood policies has an impact on parents (and mostly on mothers) that can enter the labour market, instead of being occupied with care tasks. Both parents can take advantage from a system of holistic, comprehesive, systemic Early Childhood policies. Last but not least, skills developed through quality early childhood education last for a lifetime. So the investment may really bring a long-lasting change in the destiny of individuals, communities, nations. This is basically the result of his researches and it should definitely convince politicians in investing in Early Childhood. I spent three days discussing quality in Early Childhood Care and Education in Goteborg, at different levels and with different, interesting colleagues, professionals and moreover students. It has been amazing and exciting to discuss the quality of learning environment with the students of the Master in Design of the HDK. As usual, when discussing with students, the starting topic exploded in different and generative arguments. The quality of the learning environment is a pillar of each preschool, and the materials are part of the experience as well. The discussion went through the different components of a good environment. The open lecture in HDK went through a provoking question like “Will preschools save the world?”. We discussed the general situation of the early childhood, with examples, images, video and data. The analysis has been interactive and for most of the participants an opportunity to express their feelings, their projects, their opinion about care and education of young children, in a sort of comparison between the Swedish scenario of preschools, and a global perspective. The work of UNESCO on the field and for the development of a better future for the children of the world has been discussed and highlighted. Will preschools save the world? Probably. Sure, they will make it better. More intimate, and interactive, has been the meeting organised by Formazione Citizen. The official topic was Quality, and we discussed over the concept in many ways, taking into account both a philosophical part and a more concrete, practical side of our work. Quality, in the end, is a puzzle of a lot of pieces, details, issues, interacting to build a puzzle, and each and every child perceive it in coherence with its own experience and sensitivity. What is common to all the groups is that quality is a negotiated process, where the result is a function of the level of expression of each participant, and of the quality of the democracy and participation in it. All meetings have been organised and introduced by Tarja Haikio, and the last with the collaboration of Ina Linden, Erika Kyrk Sager, Linda Linder. A lot of my Swedish colleagues and friends animated the debates. To all of them my sincere gratitude. Early Childhood is the wealth of a nation. Cameroun with the support of IBE UNESCO is building his future wealth starting by Early Childhood Care and Education. 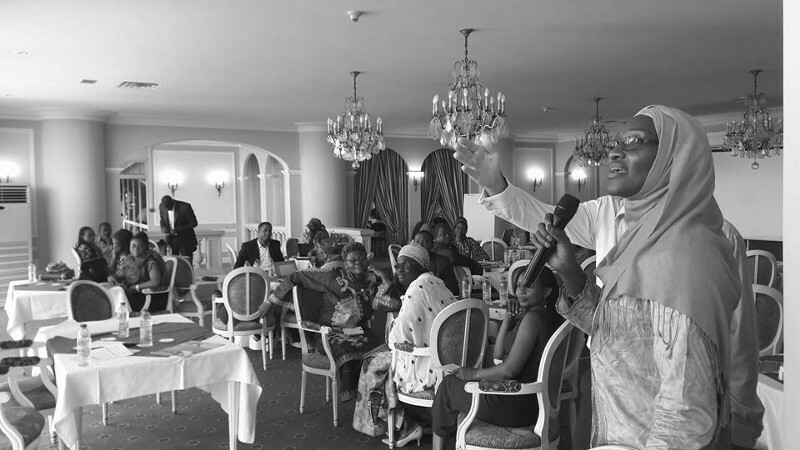 The workshop recently held in october in Yaoundé has been the opportunity to share projects, plans and strategies to develop ECCE In the different sectors: education, care, nutrition, health, social protection. The coordination among the sectors is a paramount pillar of the process. The senior staff of the Ministries and the key persons in NGOs have shared a sound way forward. Cameroun has started its process of development in a holistic perspective, and the senior staff of all the Ministries involved (Education, Care, Health, Nutrition, Protection) worked together for three days in order to define a common platform to work on Early Childhood. Common goals have been set; first and foremost the possibility to develop coordinating mechanisms. Coordinating mechanism across ECCE sectors should be established, from the design of the M&E system (selection of indicators, methodology) to the implementation (collection of data from various bodies and providers), to analysis and dissemination (policy information and planning). Various data sources (sector administrative data, special studies, household surveys) will be harmonized and integrated in a unique ECCE database. M&E will be part of the process of policy planning. Country Coordinating mechanisms have even the role of country-driven, coordinated and multi-sector approach have even the task of involving all relevant partners, including NGOs, FBOs, CBOs, private companies in the provision of ECCE. □ The different sectors must be in continuous communication and sharing values and practices of work in ECCE. An agenda of periodical meeting is a fundamental practice at the foundation of a holistic system. This coordinating mechanisms should guarantee that, in the end, the provision of services must be recognized by the children and the family as unity. The coordinating mechanism should guarantee the resilience of the system by balancing the best/good practices with the sustainability of the overall ECCE system. In doing this, the authority/coordinating mechanism keeps continuous connections with international agencies and bodies (like UNESCO) and perform a M&E system, the aim of which is the improvement of the ECCE framework. The communication among different Ministries and with the coordinating mechanisms/authority must be performed through written documents, and in a formal/official way. The documentation of the work, of the decisions, of the minute of meeting is part of the professionality of the staff of the Ministry. The research project Shaking the Habitual has come to its end, with the last study visit in Iceland. It is a research and exchange project, supported by the EU funding Erasmus +, focused on the stereotypes in Early Education. The partners have been Hjalli preschools from Iceland, Gamla Stan preschools from Stockholm (Sweden), Harryda preschools from Sweden, and the municipal preschools in Bassa Reggiana. It has been so important for me, and for us, as preschool system, to discuss with colleagues that have so deep awareness and so great experiences to share on stereotypes. The last study visit was mostly about the Body Image and the reflections we shared were so important, as for the previous study visits. My wish is that the wealth of Shaking the Habitual will last and continue to develop and at the same time that, by this project, more opportunities of research will come, with so great colleagues, around a critical topic like the one/s we shared. And in these years Italy has also changed a lot, and several processes are right now at their most prominent development. The book, scheduled off-print in december 2017, generated by this project, is a milestone for our further development. It contanins a lot of insights and ideas to work in preschools about stereotypes, gender equity, body images and more. During my consultancy to perform a situation analysis of the early childhood care and education system in Swaziland i visited a school for deaf, located in Siteki. It is the only school for children with special rights in Swaziland, and it is located in the region called Lubombo, estern side of the Country. It is, actually, not only a school but a campus where children stay for years, living all together and growing as a groups, supported by passionate staff, in very good conditions. Children, at 3, can start attending the school, and are offered education as well as vocational training. The children are taught the sign language and are supported in their education process until they are adults. The most prominent feeling that you have visiting the Siteki School for Deaf is the perception of the respect for children spread all over the campus. The interest of each worker in the staff is the wellness of the children, and the effort to nurture the possibility for the children to have a better future, in the period in the campus but, first and foremost after the school experience. 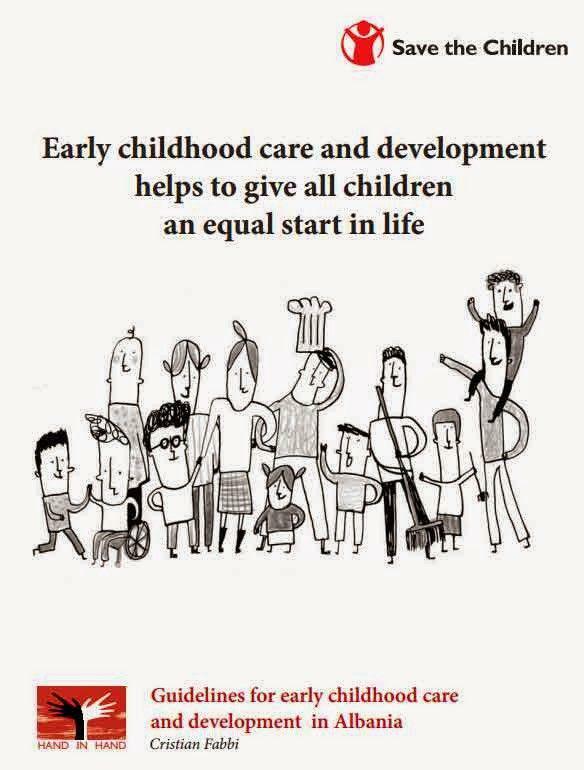 The Republic of Seychelles and his Institute of Early Childhood Development has recently been recognized by IBE-UNESCO as a Center of Excellence in the provision of Early Childhood Care and Education. The Republic of Seychelles succeeded in the creation of a comprehensive ECCE system, having at its core the capacity of coordination between the different ministries and other stakeholders. A pivotal role in the deve this process is played by the Institute of Early Childhood Development (IECD), coordinated by Mrs Shirley Choppy. This body is able to coordinate all the elements of the system in order to reach the goal that the government have defined in the ECCE policies issued in the last five years. The establishment of this Institute, as a cross-cutting sector body, is a positive practice ensuring that policy implementation concerning ECCE is shared among different stakeholders. Another coordinating body operating at this level is the National Coordination Committee for Early Childhood Care and Education. It is a board of focal persons with the overall goal of planning, assessing, defining and coordinating ECCE policies. They envision a holistic approach for the provision of ECCE programs and services, inter-sectorally integrated and coordinated. Seychelles provides different opportunities, as we find daycare services and child minding in place in the Country. Child-minding services are approved private family homes or apartment that are used for the purposes of providing day care for children, from birth until the child is ready for school. The service can be offered full time, part time, in the week end, overnight, and even during school holidays. Actually more than 1159 children are receiving Child Minding care in 147 centers, covering all the 25 districts of the Country. The cost of this service is on average 500 SR (approx. 39 US dollars) per month. A study carried out by the IECD on the conditions and quality of child-minding services in 2013 revealed that over a thousand children are in informal, home-based child-minding facilities of four or more children, and these vary widely in levels of quality. A project led by the IECD (as the regulator for child-minding services) ended in the issuing of standards. With the registration of the child-minding service, IECD conducts regular monitoring visits in collaboration with other institutions (for instance Seychelles Fire Rescue Service Agency), to ensure compliance with safety regulations and ensure the well-being of children in the establishment. 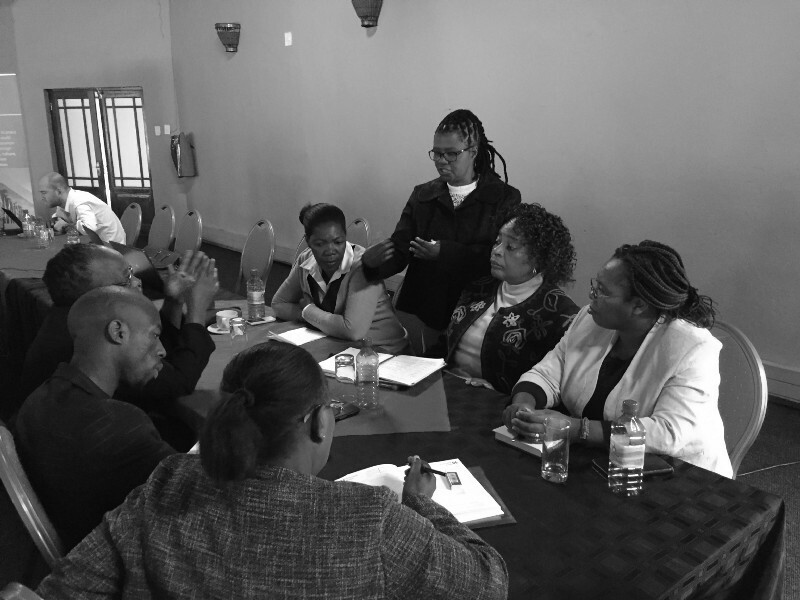 The recently developed standards on child minding services introduce a higher level of quality, a regulatory pattern, and it will become an instrument for IECD to better perform its monitoring mandate. Every child-minding establishment can keep and mind a maximum of 10 children, depending on the space and organization of the building. Day care centers are registered centers providing care and non-formal education for children from three months until they enroll in crèche/pre-school. They are operated by private and non governmental entities, for profit or altruistic motives. The government policy encourages the establishment of Day Care Centres to cater for the needs of working families with children. Currently, there are 13 daycare centers in 25 (soon 26) local communities, with an average of a daycare serving two communities. Albanian preschools and the process of analysis of the Early Childhood Care and Education system has been my first comprehensive analysis. I just made a presentation of the Guidelines for ECDC in Albania on behalf of Save The Children and have the perception that the system is starting to move in the right direction. Preschool in Elbasan Early Childhood Care and Education (ECCE) is a (or the) fundamental boost for the future of a Country, moreover in Albania, where geographical, traditional and current issues are creating a mixture of happening rooted in the past but aiming at a better future. Preschool education in Albania is not compulsory and refers to children aged 3–6. However, the Government’s vision is to mandate the last year of kindergarten by 2018.
c) the development of psychomotor, cognitive, emotional, social and moral abilities. Preschool education, a shared function of the education system and local governmental units, is offered in public and private kindergartens and public schools (preparatory classes). Preschool services were initially developed in the country during the regime. During the transition, there has been a significant limitation of public and private possibilities for children, that started to emerge significantly in the last 10 years. The preschool education counts for a stable number of enrollments in the last years, however, it remains low in comparison with other countries in the region. This is related to low fertility levels, migration and attendance level. The net enrollment rate is not satisfactory, as only 33% of children are attending a sort of preschool education (SABER Report, The World Bank, 2015). The main reasons parents report as to why they do not send their children to preschool are that they believe their children are too young or they prefer to keep them at home. More than two-thirds of parents of children 3–4 years old who were not attending preschool thought their children were too young, suggesting that perhaps early learning experiences are not appropriately catered to the younger age group. Nearly one-quarter of parents of all preschool-aged children (3–6 years) reported that they preferred to keep their children at home. Wide disparities between rich and poor exist in the sector. Only roughly a quarter of poorest quintile of Albanian children attends preprimary school, while 60% of children from the richest quintile children do. The gap in the prevalence of learning materials for children at home is even wider, with just 15.5% of Albanians from the poorest quintile providing learning materials at home, compared to 52.3% of the children in the wealthiest quintile. The gap in adult support learning is also substantial: 68.1% of Albanians in the poorest quintile supported learning, while 96.2% in the wealthiest quintile did. In general, the process started by Save The Children Albania is trying to tackle the situation, offering a chance for a growing number of children to attend a quality early education, with the scope of raising both access and equity, starting by the awareness that Early Childhood Education offers all the children a good start in life.